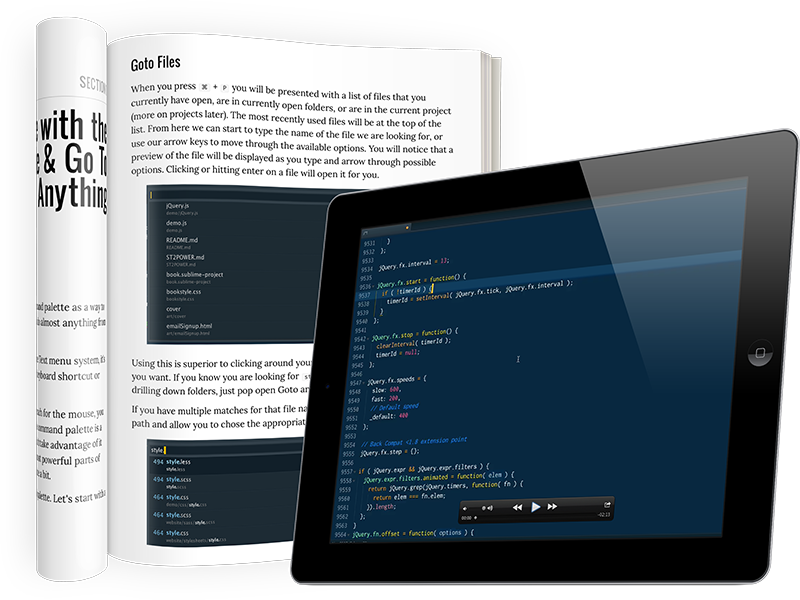 About a year ago I bought an eBook + video series from Wes Bos on leveling up in Sublime Text. I read about 20% of it and somehow forgot about it after the fact. Well, about a week ago I decided to finish up and it’s taken a text editor that I was actually on the fence about (I have lately been flirting with Atom for a while) and made me feel like I’m in complete control of the application. In particular, the chapters on workflow, packages and quickly moving around the editor with the keyboard have made me much more efficient on the current project I’m involved with at work. If you’re a Sublime Text user and want to up your game significantly I highly recommend this book.